Located near to Frinton On Sea and Kirby Cross this is a compact but quite well populated village that lies on rising ground from Kirby Creek which provides outstanding coastal views over Hamford Water, a large amphitheatre of saltings. Most of the village falls within the Hamford Water Special Landscape area whilst the farmland to the north of the village is also within the coastal protection zone which protects the area from development. 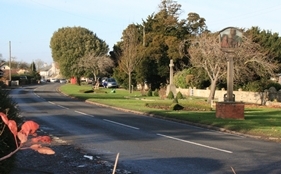 Some of the village includes modern housing from the 1960’s – 1980’ and at the western end close to the church there is a conservation area of considerable character with a variety of period and Georgian properties and a small green. There is a couple of public houses and a general stores / sub post office. Take a walk down Quay Lane and at the Old Quay there are delightful walks along the seawall and panoramic views over the backwaters and Horsey Island towards the distant coastal towns of Harwich and Felixstowe. This area of water is very popular for boating and the Titchmarsh Marina is located off the road leading out of the village towards Walton on the Naze. There is also a Yacht Club at Walton.